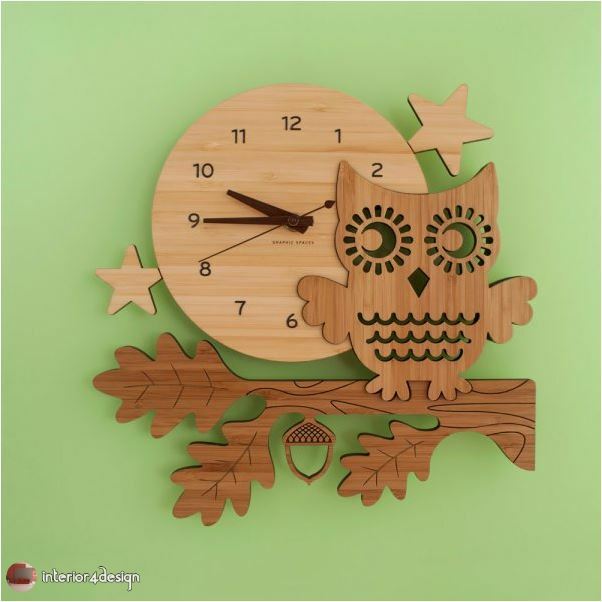 What distinguishes the decor of your children's bedrooms from the rest of the house are those colors and graphics pleasing and delightful, all details of the place of furniture and paintings and shelves and various accessories that make your children's bedroom decorations distinctive and special decorations do not resemble other rooms. 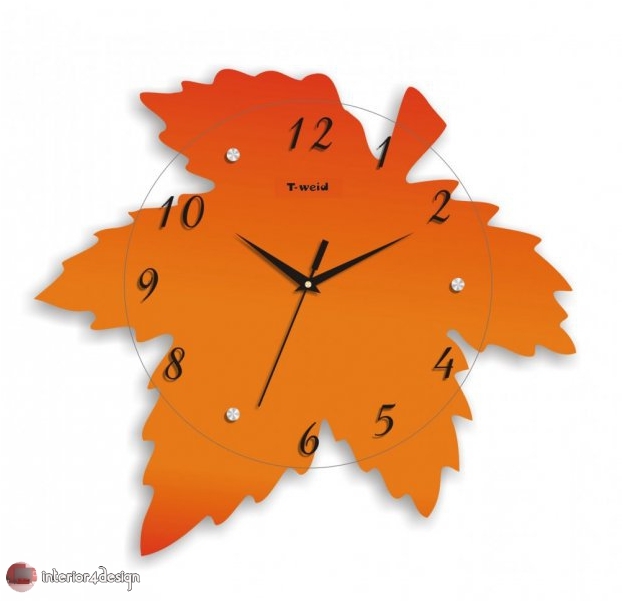 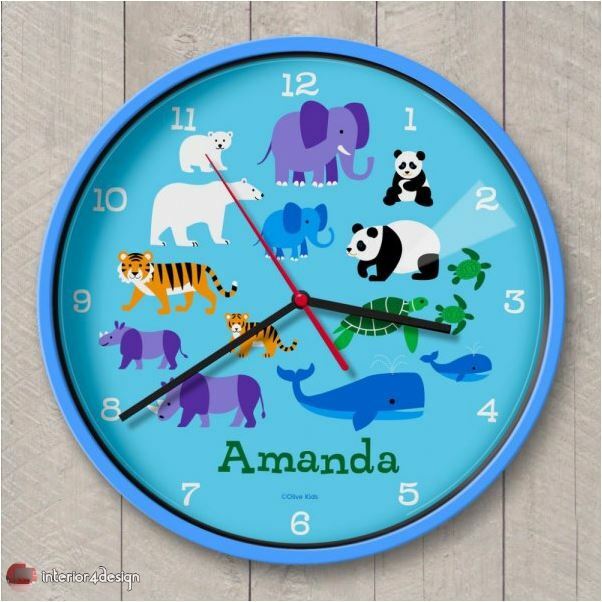 From these accessories are colorful and innovative mural clocks suitable for the place in terms of style, colors, ages and interests of children through certain drawings as we will see later in a collection of pictures selected for the most beautiful. 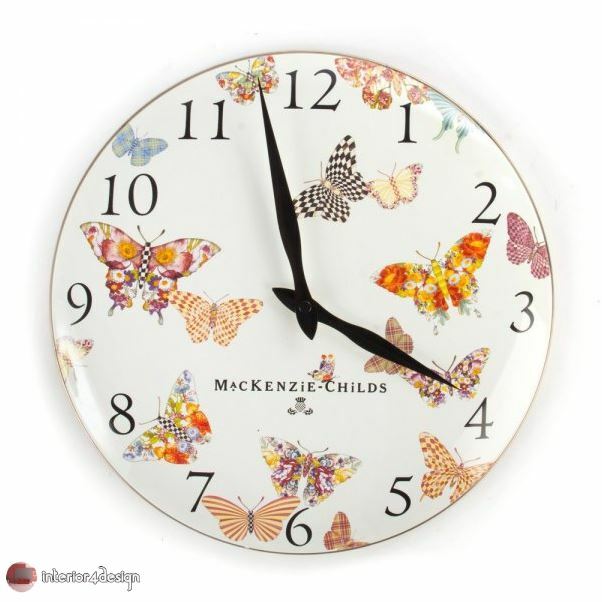 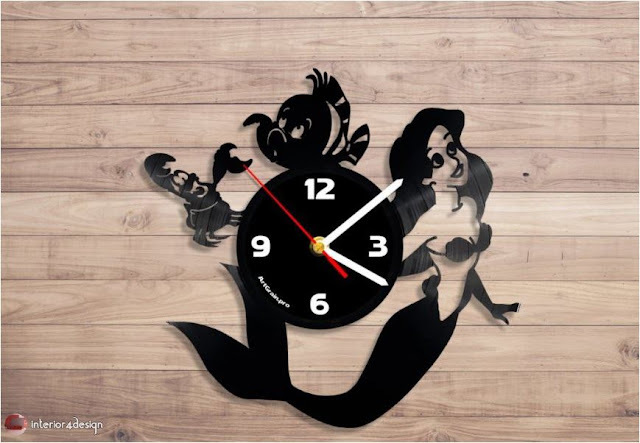 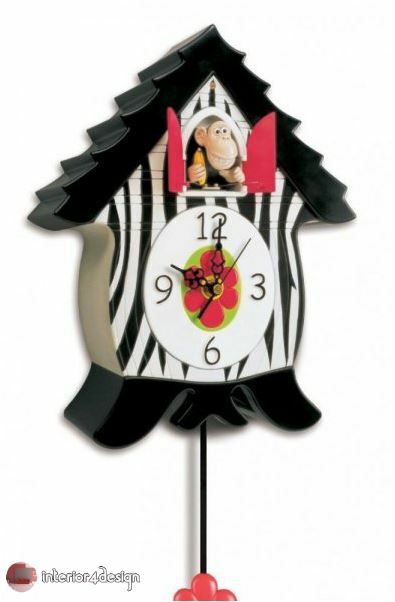 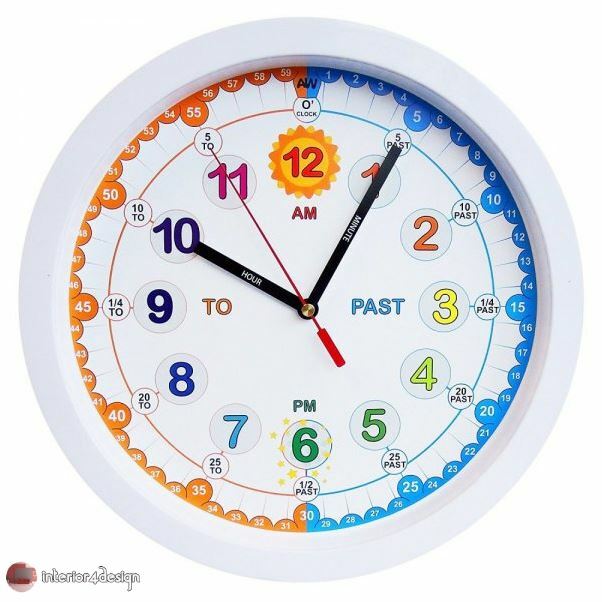 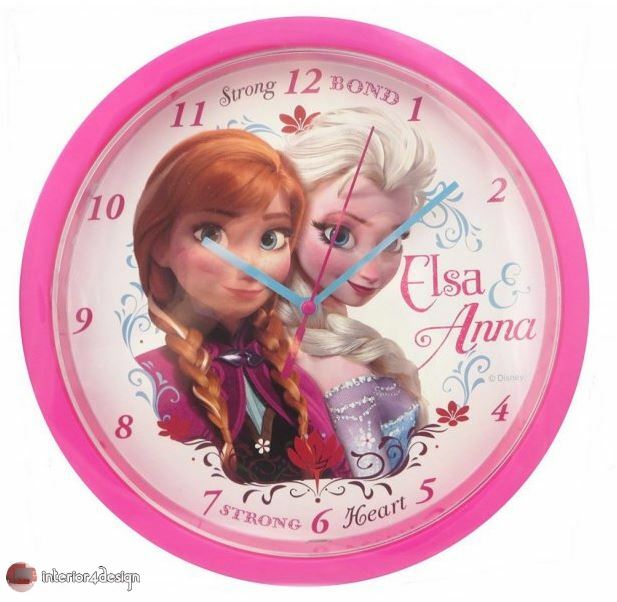 - Wall clocks reflect the interest of your children such as the designs of favorite cartoon films such as the Bride of the Sea, Frozen, Mickey Mouse and others, or global stories or the type of sports or music they love. 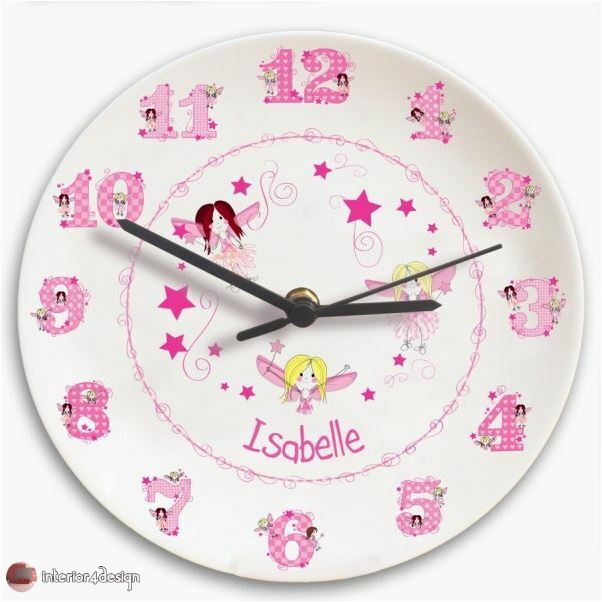 - Educational mural hours: where the figures are clear and easy to read and detailed in minutes and seconds and are placed as part of the decoration of bedrooms children are about to learn to read the time to help them as we will see in one of the pictures. 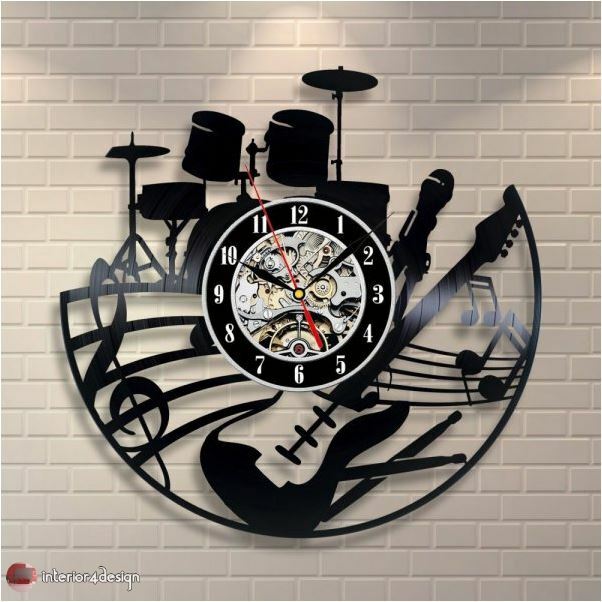 - Wall clocks resemble the old traditional design, which has a pendulum swinging with seconds, but with attractive shapes and colors suitable for the ages of the boys. 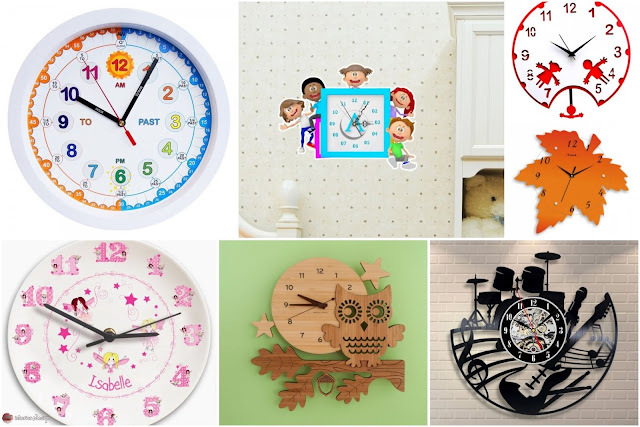 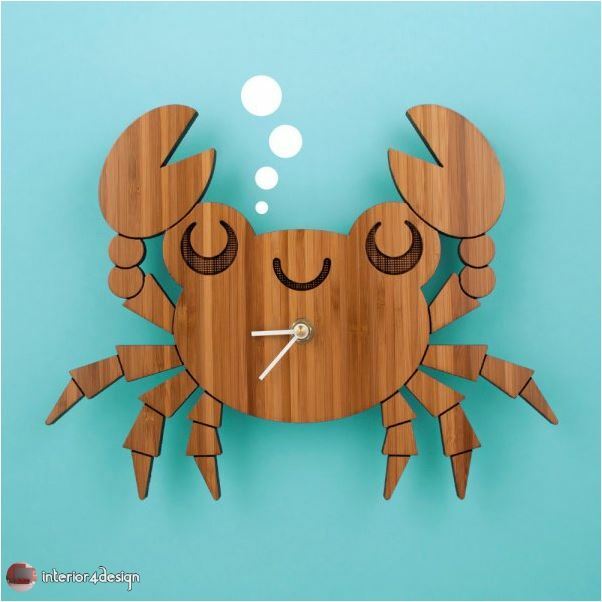 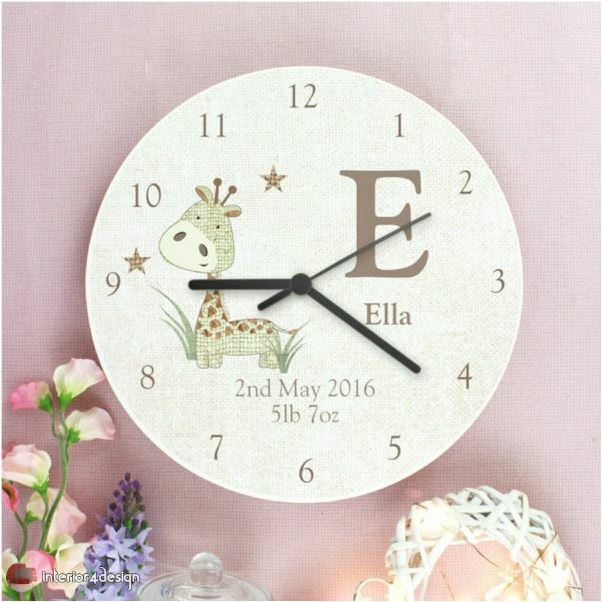 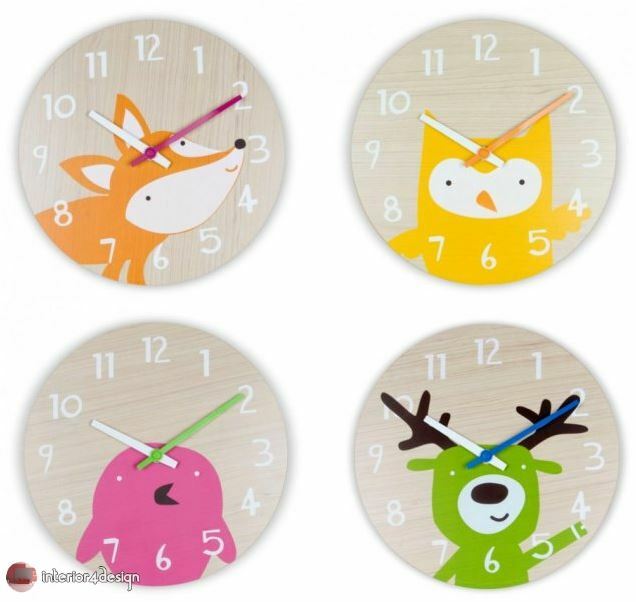 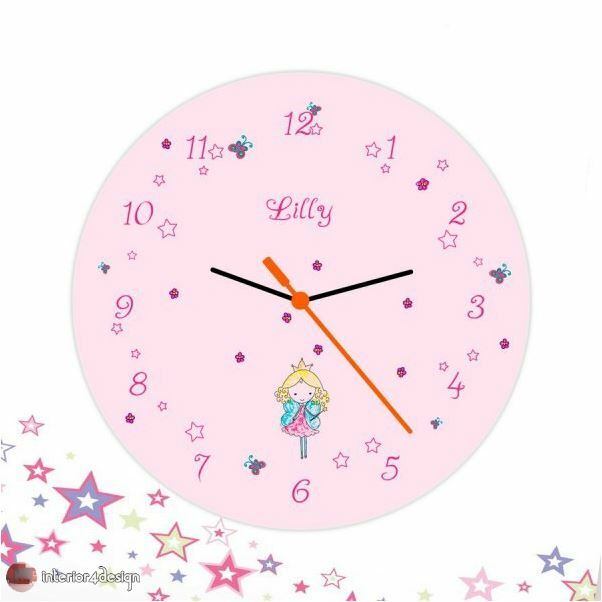 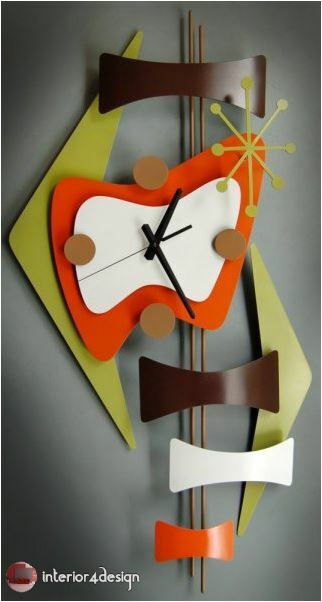 - Handmade wall clocks that your children share in making them through their drawings or simple DIY tools. 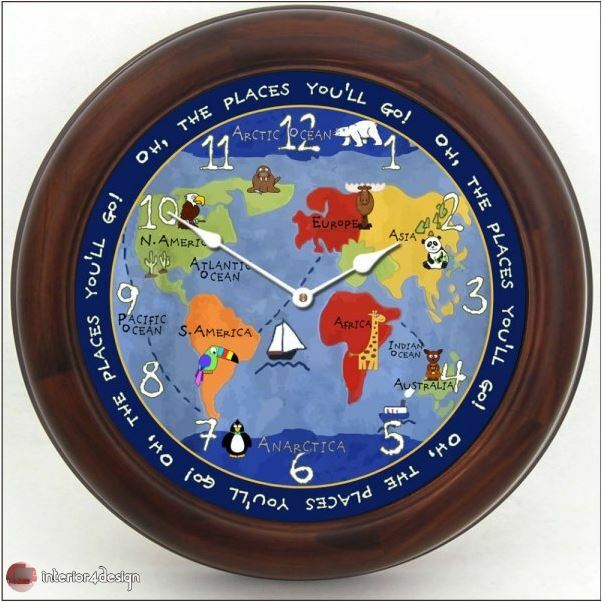 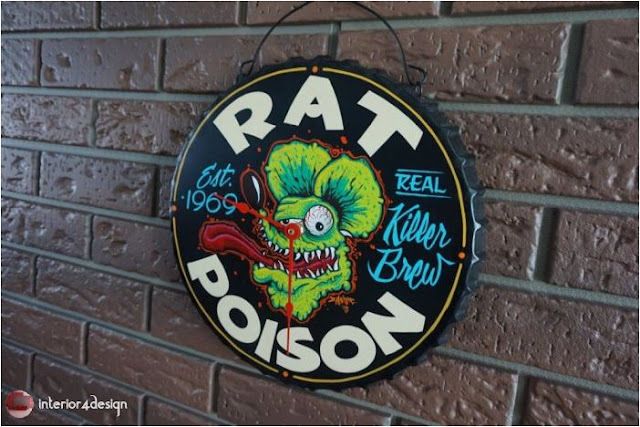 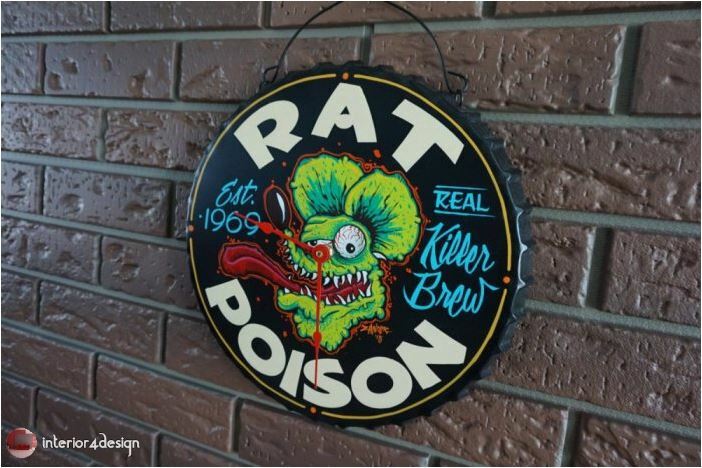 How do you choose the perfect place to hang? 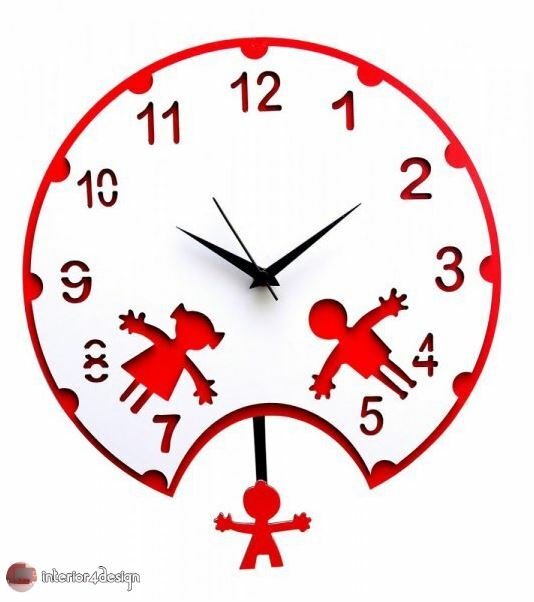 - away from the reach of their hands in the event they are small ages, ie at a certain height allows them to read time and prevent them from colliding with them during their movement or play them. 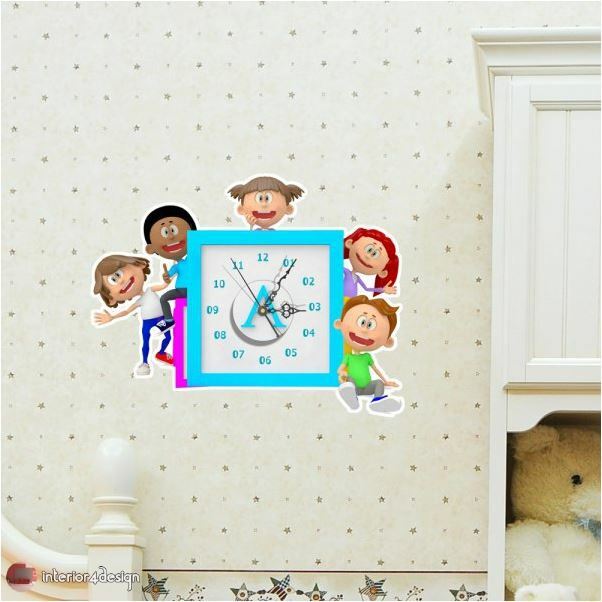 - in the wall facing their bed and not behind to be able to read the time when waking up, so its presence in the decoration of bedrooms children of all ages is very important, because it remains much better than reading the time of the mobile that is within reach and the amount of radiation from it hurts Their eyes.